Rome - Italy captain Sergio Parisse says the Azzurri are ready to hand France their third consecutive Six Nations defeat in Rome but admits Les Bleus will prove a tough nut to crack in what could be a torrid clash at the Stadio Olimpico. 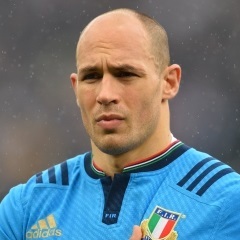 Parisse will claim his 112th cap to become Italy's all-time record holder ahead of Marco Bortolami when he captains the Azzurri in their bid to make it three in a row against Philippe Saint-Andre's side on Sunday. While France are looking to avoid their third consecutive defeat in this year's tournament, Italy have gained confidence from a morale-boosting 22-19 win over Scotland at Murrayfield two weeks ago. A second consecutive win would give Italy a massive lift after a disastrous 2014 and ahead of this autumn's World Cup in which they face Ireland and France in Pool D.
But Parisse is taking nothing for granted. "I'm not arrogant enough to say we're going to make it three in a row," Parisse told media at the Stadio Olimpico on Saturday. "That's just what journalists like to say, but France has a stronger team than we do and tomorrow it will be a tough match. "It worked out well for us the two precious occasions but every match is different. And we had to suffer through those victories. "We go into this game with a lot of humility, but also in the knowledge that we are totally ready." For Parisse, Six Nations games against France are always particular. The Argentina-born No. 8 has played most of his professional career in the country, where he remains a key player for Top 14 side Stade Francais. Although he has no doubts over where his allegiances lie, Parisse is quick to credit France with helping him become one of the top back row forwards in the northern hemisphere. "My parents are Italian and I owe everything to Italy. But in rugby terms I matured in France," said Parisse. "France gave me the chance to progress. I arrived there when I was 21 years old, and for the past 10 years I've been with a major club." Italy coach Jacques Brunel made three changes to the side that stunned Scotland at Murrayfield, with experienced centre Andrea Masi and wing Leonardo Sarto returning to the starting XV and Fijian-born flanker Samuela Vunisa replacing injured Simone Favaro for only his second start of the campaign. Elsewhere, Brunel has kept faith with Kelly Haimona and Edoardo Gori who share the half-back responsibilities for the fourth consecutive game of the tournament. However there will be no place for Toulon prop Martin Castrogiovanni, who was left out of the matchday 23 by Brunel. Parisse said Italy will plug the gap left by the experienced Toulon prop, but admits the Azzurri will need to improve their game if they are to achieve what would be a remarkable feat. "After our win against Scotland we want to keep the momentum going, but to beat France we're going to have to play better than we did against Scotland," he added. "The scrums will be harder, so will the mauls and there will be rain. It probably won't be an open game and won't be spectacular. But for us that doesn't matter. "It won't change our determination to play ball and to put them in difficulty."